This is my first blog. As an Irishman, I'll try to not be too loquacious and keep it succinct. 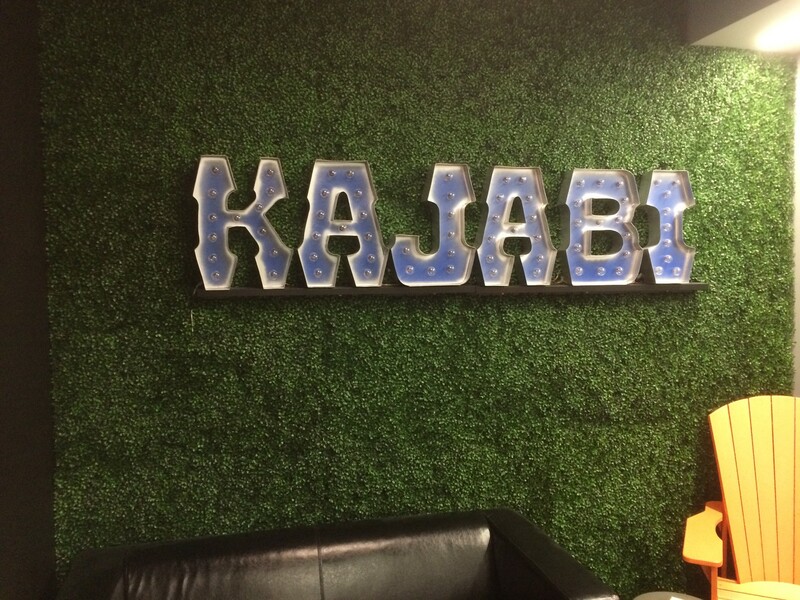 Kajabi internet marketing studio in Orange County had a little to much echo in the commercial shoot studio and sound bleeding through the walls, so we custom built sound absorbing panels. Behind these panels we had removed the old attempts of soundproofing, (2 layers of drywall which exacerbates the Double Leaf Effect), installed the decoupling floating wall system and organic NRC rated .95 (absorbs 95%, refracts 5%) insulation. Typically in condos, this is all we need to do, minus the panels. The entry door was also lined with mass loaded vinyl and class A fire rated black vinyl nitrate foam. We usually do the same for conference rooms like we recently did at Bing internet company in Santa Monica. At restaurants and bars we usually only need to add the sound panels. Don't you hate it when you can't hear the person across the table from all the sound bouncing around the restaurant? 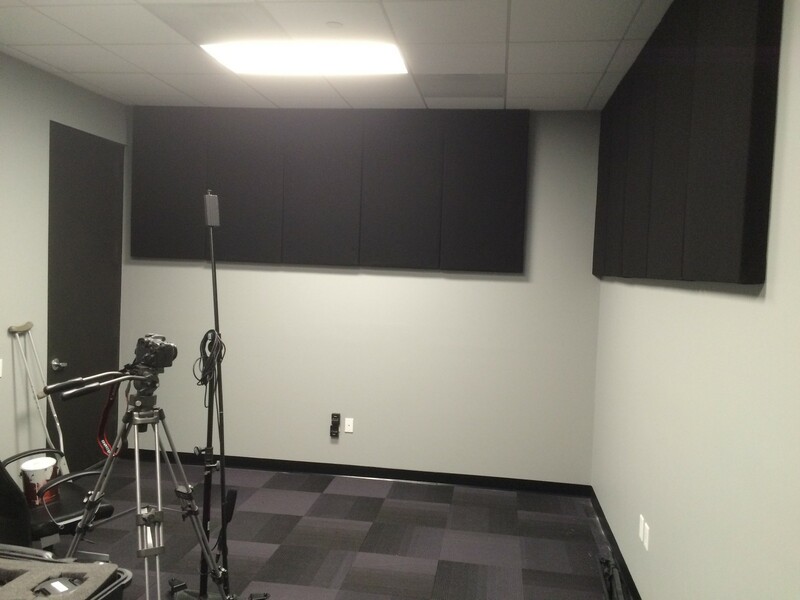 In 26 years of specializing in soundproofing from garage bands to professional studios, they always choose the black covering over the Helmholtz resonator panels. The conference rooms usually go the opposite with an off white canvas cover. You can choose up to 46 colors from Guilford of Maine Fabrics. I just finished up a recording studio in Malibu Colony. Seems we all benefit from the technology developed by NASA for space, or sailors benefit from technology developed by America Cup programs, my best options for soundproofing condos trickles down from recording studio technological advances. Basically, I made the ceiling, walls, doors and windows acoustically bulletproof. They went with my new Option #1 - a floating wall system with more mass law incorporated, layers of concrete, and Green Glue. I supervised the electrical soundproofing of all the junction boxes, and HVAC systems so as not to make any acoustic holes in the affected areas. One light switch, not attenuated with a sound “Catchers Mitt” behind it can ruin everything. When I came back to do my standard acoustic testing, I noticed the stairwell walls were adorned with celebrity flotsam: a picture and a harmonica signed by Steven Tyler, a picture and a microphone signed by Britney Spears, and a black Gibson! Wait for it, Lucille! Not a picture of BB King, but a black Lucille with BB’s signature in gold on the guitar! I was incredulous to say the least. I asked if he knew the story of Lucille. Unfortunately, he didn’t. I asked how he got it and he said, “I think my parents have something to do with financing concerts and this was auctioned at one of them”. I guess BB King saw the opportunity at the end of his mortal coil to reduce inventory. I wonder how many Lucilles he parted with. Am I glad I didn’t take the elevator! Ah… I digress. The ductless HVAC (air conditioning unit) didn’t have its cover installed since the painters were still on the job the last time I was there. Most of my clients go with the Mitsubishi mini split. It looks like a small microwave face plate sticking out a couple inches into the room. These clients had opted for the ductless Olympus. In a word - beautiful, an almost flush mirror face. If you are considering doing a D. I. Y. project, the first thing you want to do is disconnect the ductwork connecting the existing HVAC with adjoining rooms and install the “mini split” ductless. If that’s the main offender in the sound envelope, you might not need my services on the walls. If you’re the handy type, feel free to call or email me for free advice. (949) 280-6220. Soundproofing is really easy to do wrong and an industry statistic is, “A 2% leak can compromise a system by 60%”. I recently had to repair a studio in Cambria. The aforementioned statistic was alien to the contractor that did the original work. 2 weeks later, and a couple of floating walls later, the incognito studio on the main street in town is now also used for occasional community concerts! If you are lucky enough to be there for one of them, let me know how you like the sound. And if you’re really lucky to be in Kailua-Kona, Hawaii and attend one of the concerts now being held at St. Michael the Archangel Church, let me know how you like the sound. That job took a whole month to complete but was worth it. The Christmas Eve mass sung by the Tahitian community’s high soprano singers was a “Bucket List” item for me! Night diving with the manta rays on Capt. Jack’s Charters is another!